80 million or more Americans, mostly women, suffer from embarrassing spider or varicose veins which they try to hide or buy clothes to cover. Here in South Florida, varicose and Spider veins have nowhere to hide as the Floridian wardrobe of bathing suits and shorts makes hiding them almost impossible. The bad news is that, left untreated, veins will not go away and will get worse as time goes on. The good news: simple and convenient procedures are available for the treatment of spider and varicose veins at New Radiance. 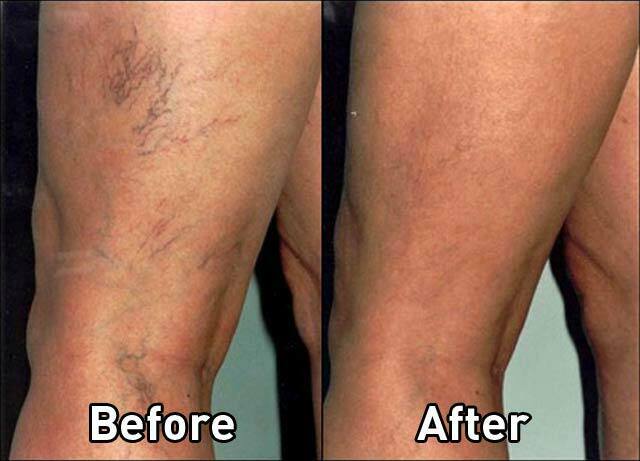 Visible veins of the face and legs can now be treated with a variety of laser and light treatments, available at New Radiance. 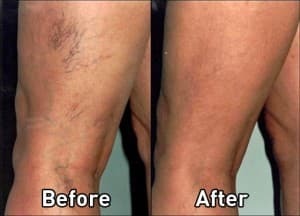 A series of laser vein treatments can significantly reduce spider veins without the use of needles, but larger vessels may still require sclerotherapy. 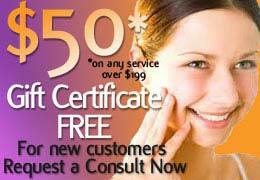 Those interested in vein treatment can click here to schedule a complimentary consultation today!